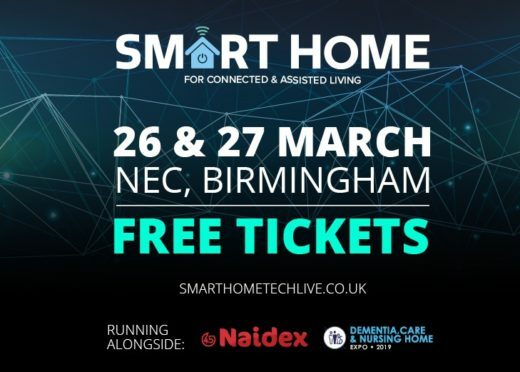 We’re delighted to partner with the Smart Home Expo, UK's ultimate event for the smart technologies revolutionising the way we live, on the 26th & 27th March 2019 at Birmingham’s NEC. At the Smart Home Expo, you will witness an unparalleled line-up, coming together to provide you with the best technologies, innovations and insights that are completely revolutionising the way homes are built, and the way people live in it. From smart lights that help with energy saving, to smart assistants that control homes via simple voice commands, the show will redefine what constitutes a home. Flooded wall-to-wall with 200 world class exhibitors, 150 seminars by the sector’s leading visionaries, interactive panel debates, live demos, exclusive show offers and more – the Smart Home Expo really is the hub of the Smart Technology World. I’m one who cannot afford to buy due to crazy prices , and still going up, why have prices always been allowed to go up it doesn’t make sense , one day no one will have enough income to buy and live on . We’re just embarking on a self build and are very keen to learn about smart homes and the sorts of things we can integrate into our build.